Liverpool take on Bayern Munich at the Allianz Arena today in a game that has all the elements to be a Champions League classic. The first leg at Anfield ended in a stalemate, with neither team troubling the scorers. Bayern Munich might have the upper hand in terms of home advantage, but the lack of an away goal could seriously hurt the Bavarian giants. In addition, the return of the imperious Virgil van Dijk from suspension is sure to give this Liverpool side a huge boost of confidence. 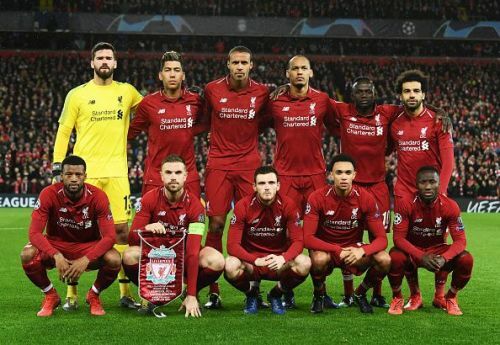 However, Liverpool’s away frailties in the Champions League this season have been a cause for concern for Jurgen Klopp with turgid displays in Paris, Naples and Belgrade, resulting in 3 losses. The team though will be high on confidence after a morale-boosting 4-2 victory over Burnley at the weekend. Bayern, on the other hand, has been on a role in the Bundesliga of late, winning 12 of the last 13 games. As a result, the reigning domestic champions lead the table on goal difference, ahead of an exuberant Dortmund side. Both sides have the attacking capacity to make this a goal fest, yet considering each of the team's experience in the tournament, we could expect a more reserved game. Both defences were top notch in the Anfield leg and snuffed out most of the danger posed by the attacking players. Yet, the yellow card for Joshua Kimmich at Anfield rules him out of the home tie. 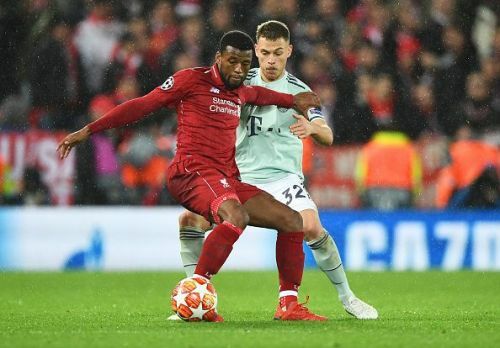 Kimmich, who is the epitome of the modern-day full-back, was quite disciplined in the first leg as he decided to curb his natural instincts in favour of a more vigilant tracking of the Liverpool front three. The German was simply outstanding at Anfield, yet one reckless challenge on Mane means that he will have to sit out the second leg. Rafinha or even Jerome Boateng could be Kimmich’s most likely replacement and whoever Kovac decides to start, there is no doubt that they will have to step up. Klopp and his men will definitely try to exploit this weakness and instruct his front players to get in behind the right-back as much as possible. Hence, it could be a make or break night for Bayern's right-hand side defender. On the other hand, Liverpool will also be wary of the Bayern wingers Kingsley Coman and Serge Gnabry, who I felt were excellent at Anfield. With the return of Virgil van Dijk, Liverpool’s left-hand side of the defence will become a lot more secure as he and Robertson will look to snuff out most of the danger. Although Trent Alexander-Arnold has been in top form this season, the ease with which Burnley’s left winger Dwight McNeil beat him consistently on Sunday, could become a worry for Klopp. Add in the fact that Joel Matip wasn’t also very sure of himself on Sunday and suddenly, Bayern have a minor weakness to exploit.